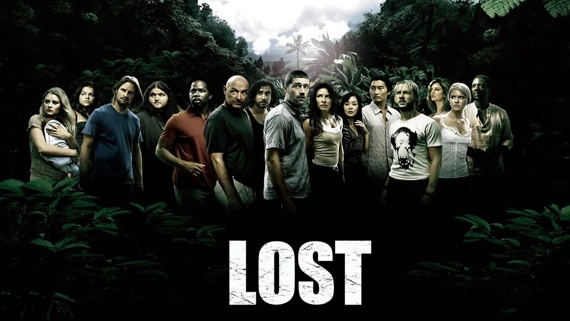 Lost Season 2: "One of Them"
Rousseau brings a man to the group in this episode, and the task is to discern whether he is an "other" or, as he claims, just a man from Minnesota. Why Rousseau, who obviously does not believe he is who claims, doesn't take care of him herself is not clear. She even seems to know enough about him to say he will lie for a long time. Yet, she still hands him over to Sayid, allowing the group discern the threat. And decide they must. Sayid quickly sides with Rousseau, Jack as always assumes he's innocent, and Locke is too worried about the chance that he could be lying to stop Sayid. If Sayid is right, I fear Jack may, in his need to believe in others, do something to endanger everyone in the camp. But how can they really tell? 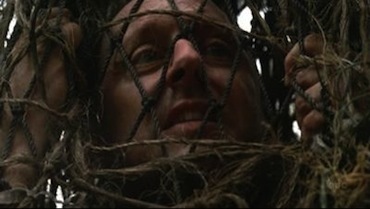 Sayid can continue to torture the man, whose story doesn't entirely seem to line up. But it doesn't seem to be producing any results at this point. Still, if he turns out to be another spy, who knows how many people will suffer? Fear is driving everyone at this point. Fear of being right or wrong, of the "others" and of turning into savages. At this point, each man's actions derive from whichever fear dominates at any moment. Jack is willing to keep Locke from pushing the button, because he fears what Sayid is doing more than the entire island exploding. Locke lets Jack in to stop Sayid because he fears the exact opposite. Sayid fears that the man is lying, but also that more pain than just losing Shannon will come if he's not who he says he is. Fear can cause us to do many things, even things we would never do otherwise. It can overcome logic and reason, even other emotions, and cause us to change, consuming us. While I agree the situation is creating much of this fear, much worse things can happen than the "others" if the camp is ruled by fear for too long. What does fear cause you to do? Or keep you from doing? While this episode is a little extreme, it provides a keen look at the effect fear can have on us all.